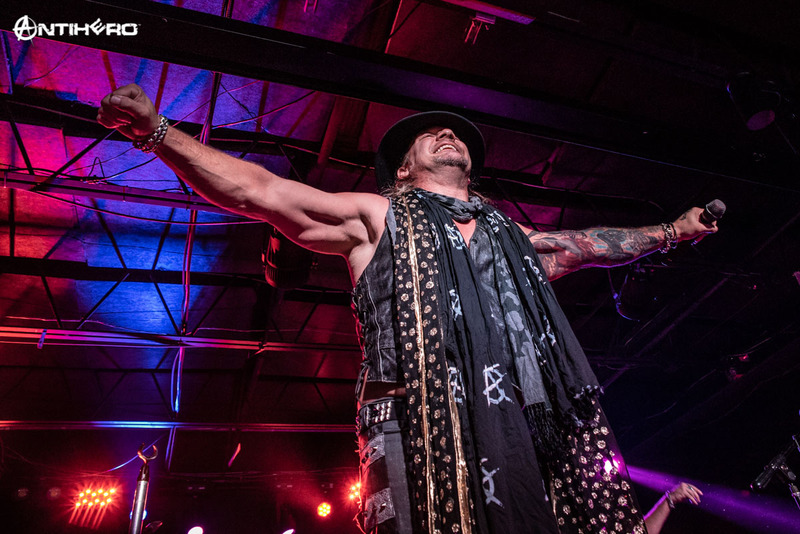 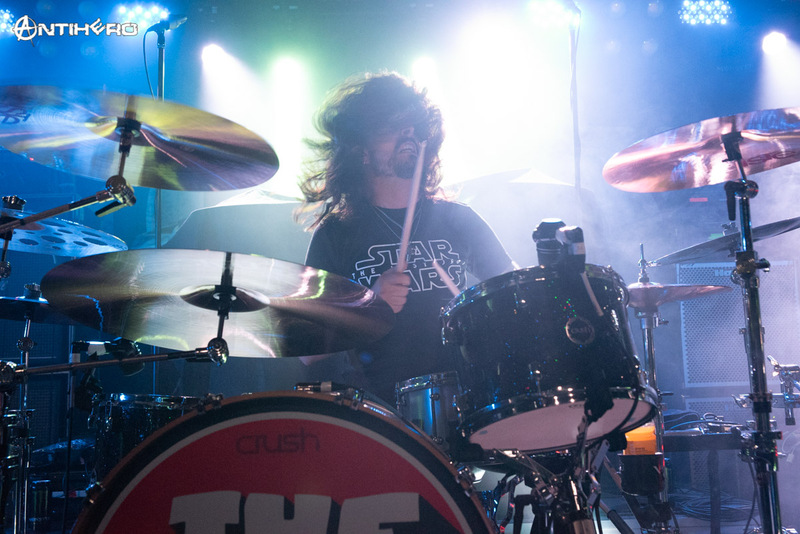 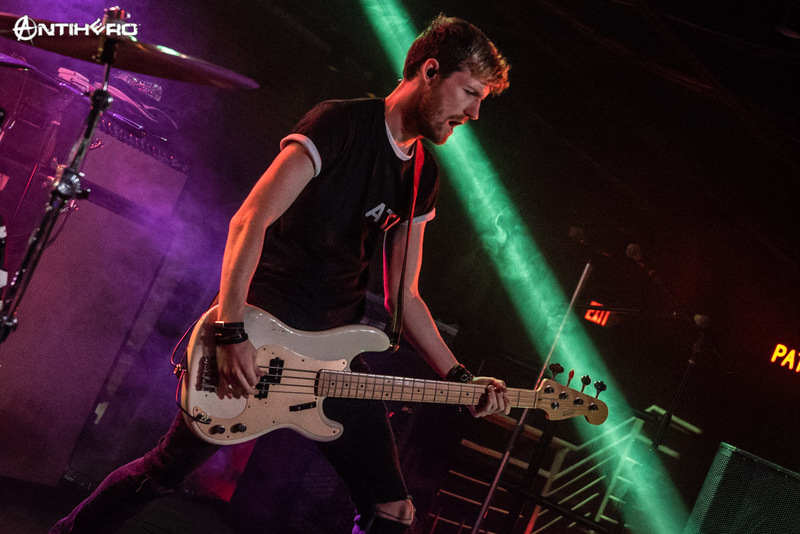 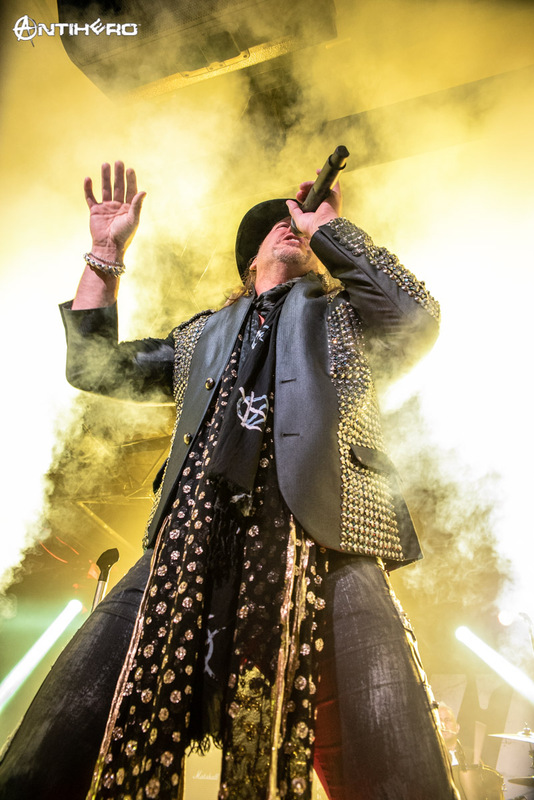 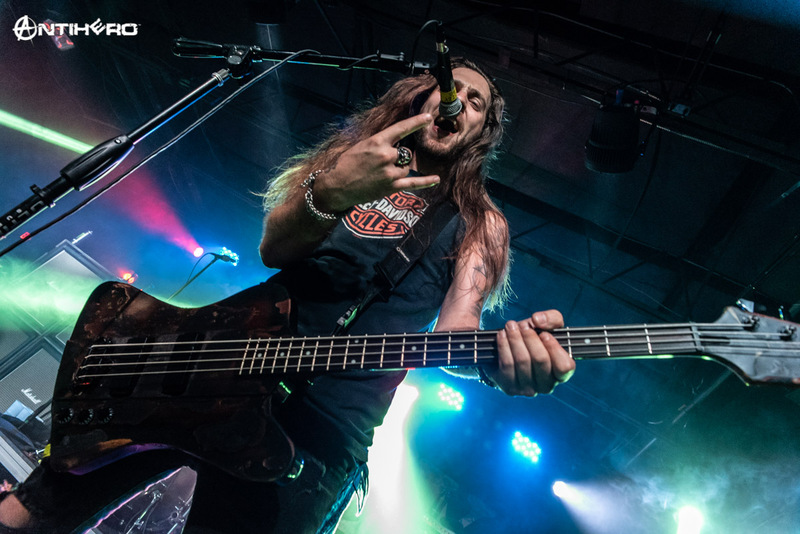 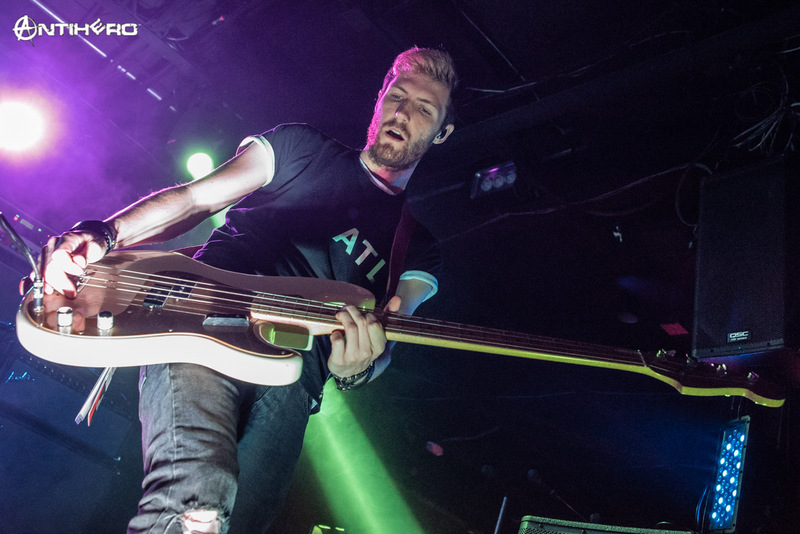 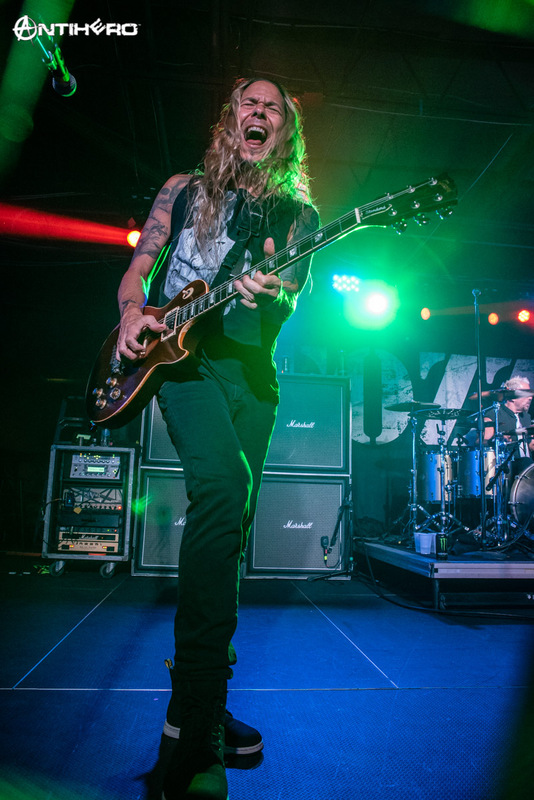 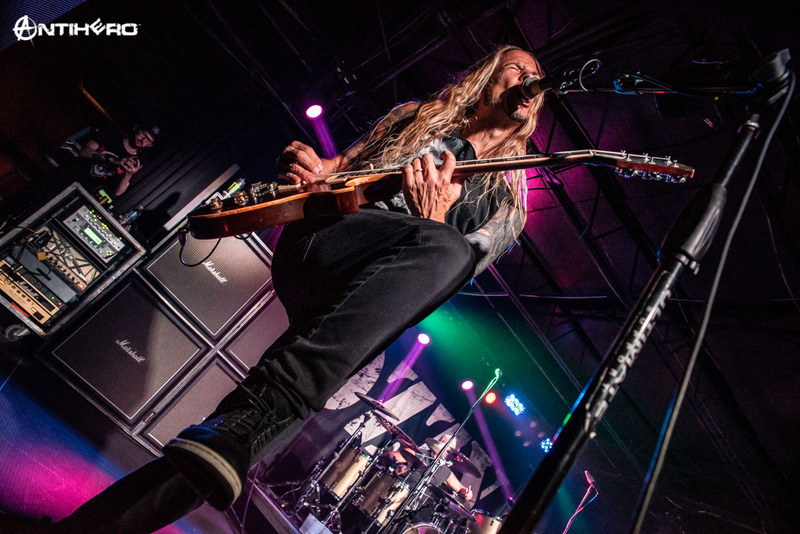 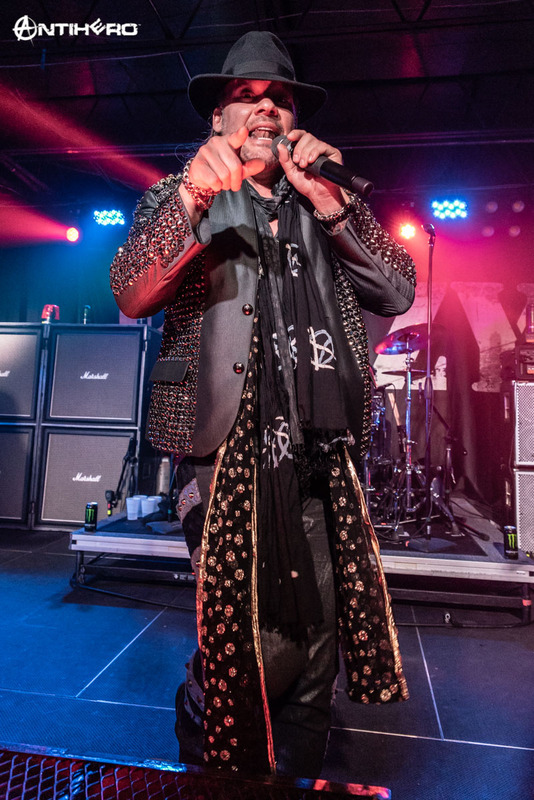 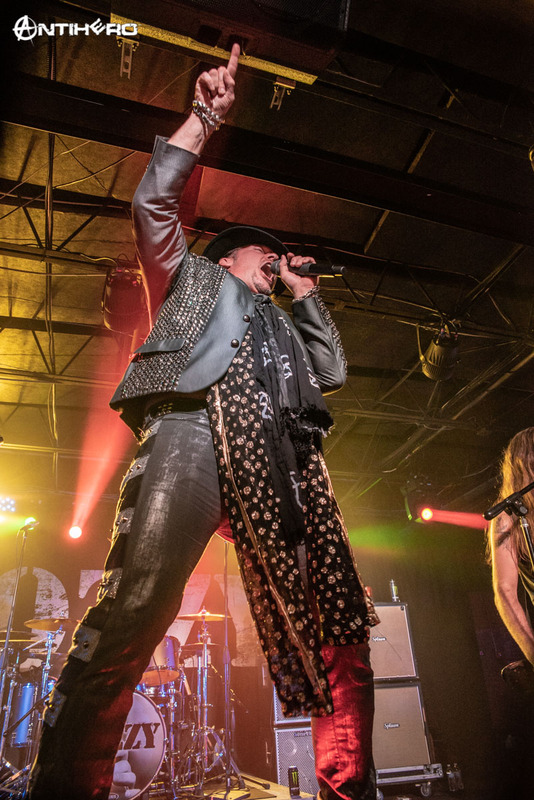 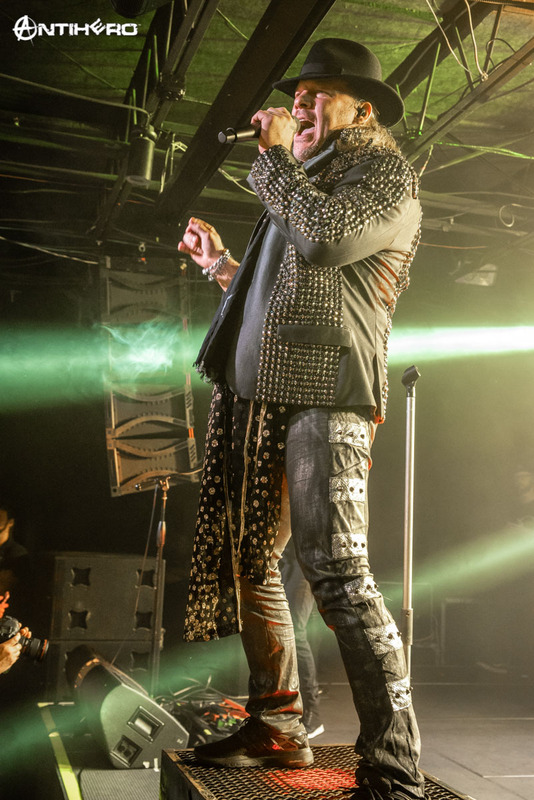 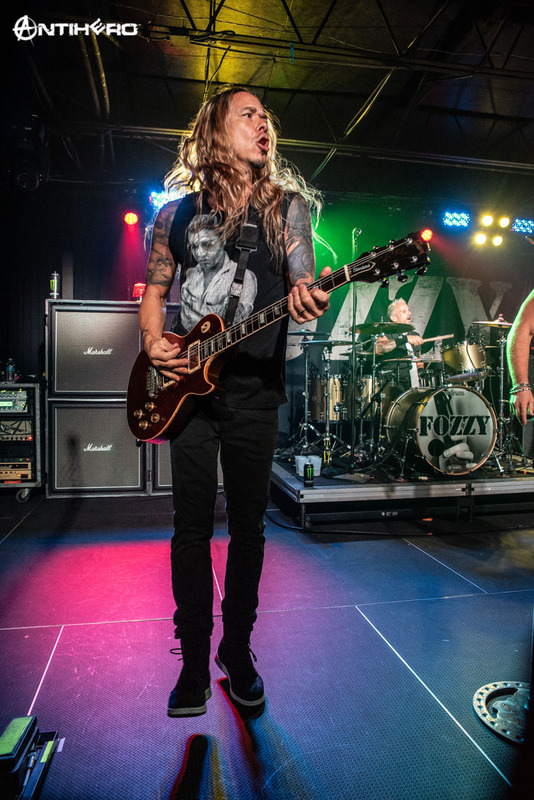 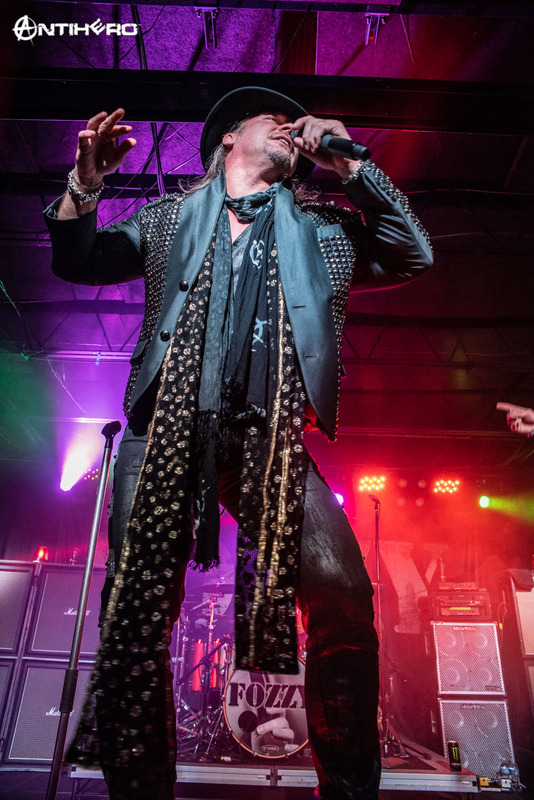 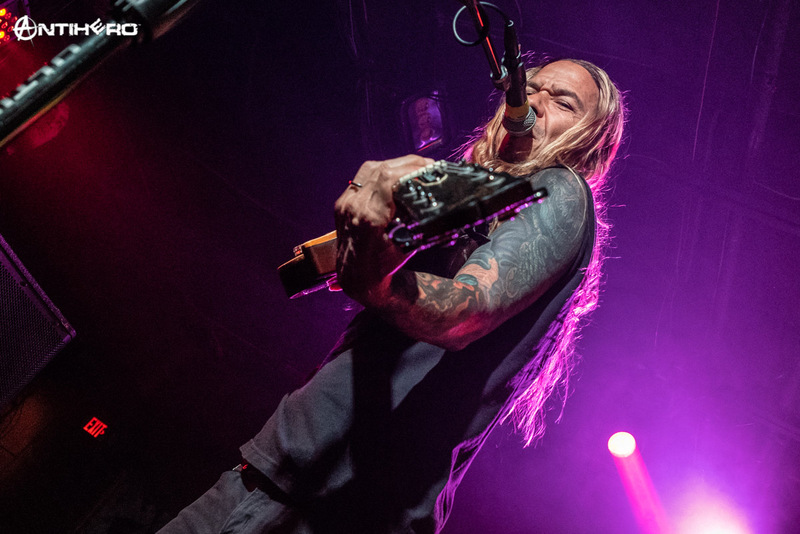 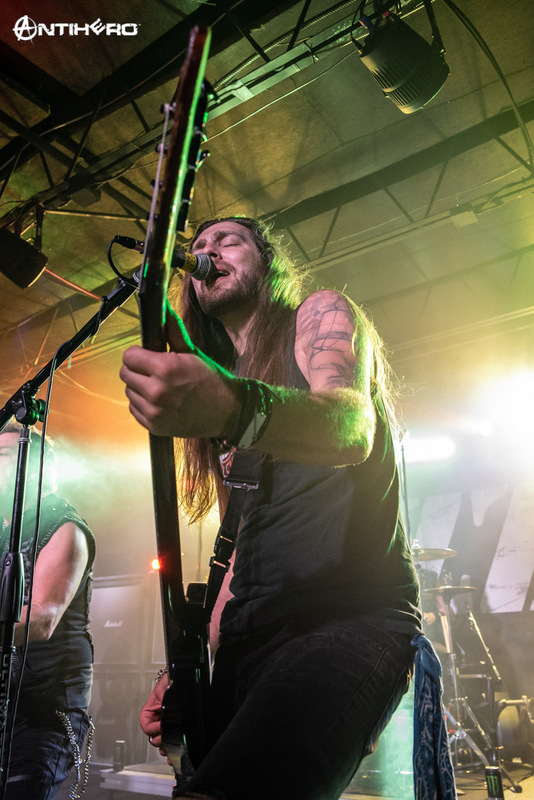 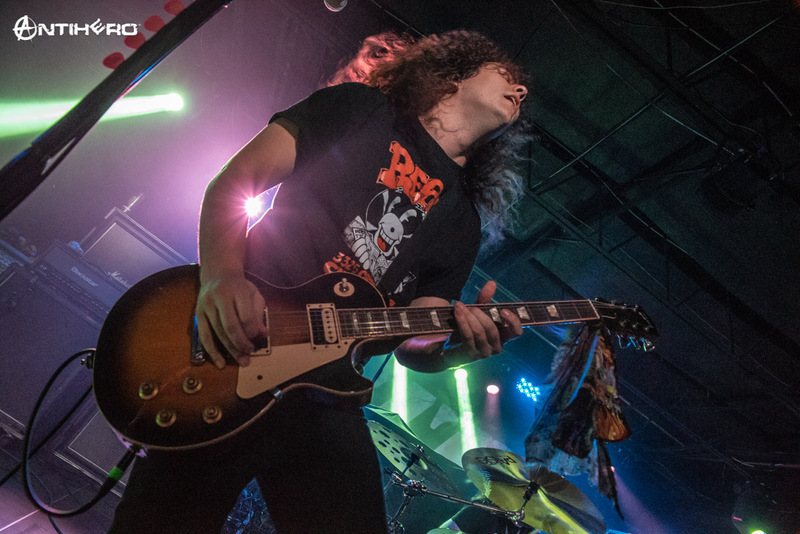 Hard rock fans from the Queen City and surrounding areas gathered at The Underground at The Fillmore Charlotte for a night of high energy performances as the Judas Rising Tour stopped in the city. 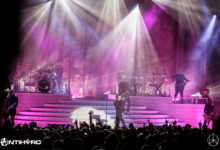 The turnout for the show was actually very surprising, with the show taking place on a Wednesday night after people escaped their day jobs for a night of music. 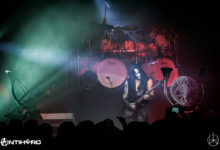 The crowd size continued to grow as the night progressed eventually helping to fill the venue. 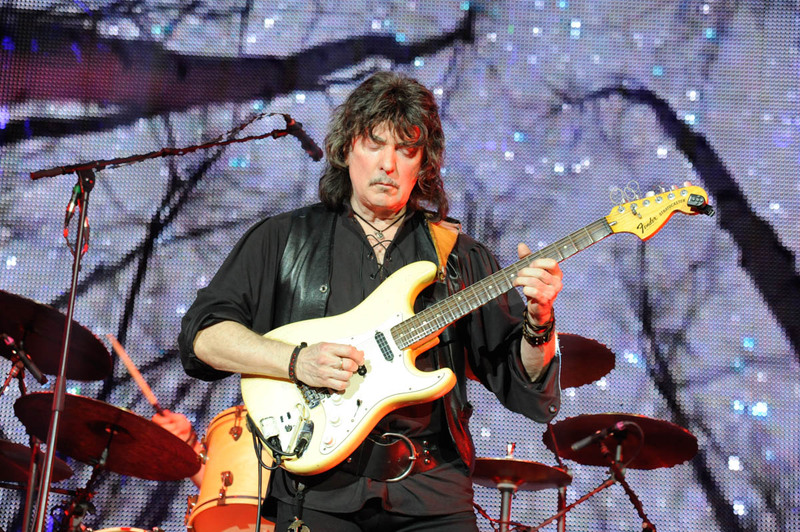 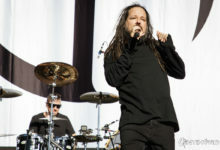 The first band to hit the stage was Georgia’s rock trio, The Stir. 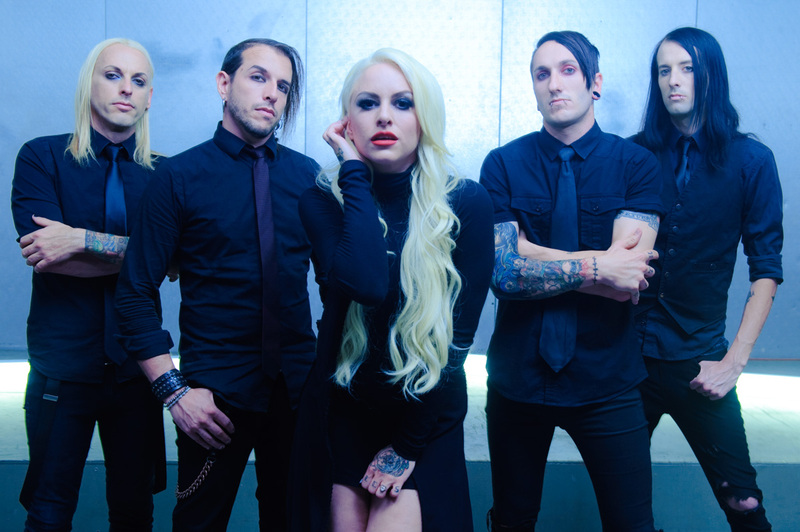 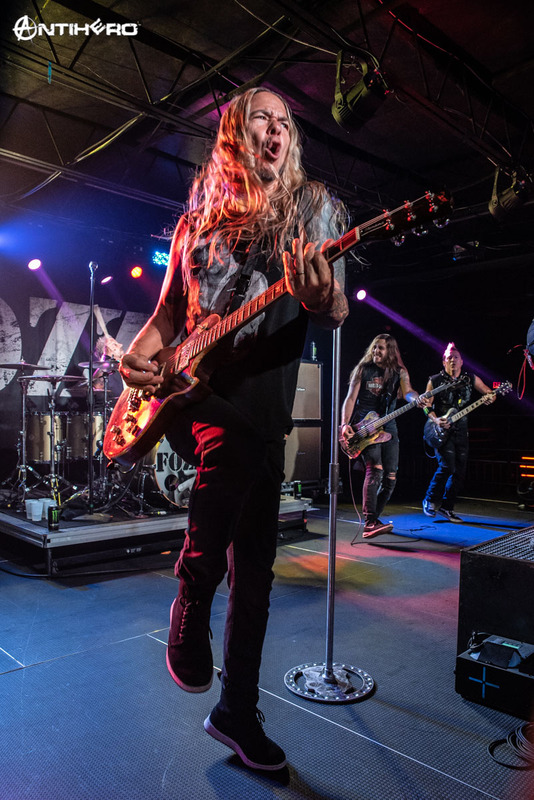 I’ve seen this band before when they were on tour with Fozzy during the band’s last tour cycle, but they never cease to amaze me with their live performance. 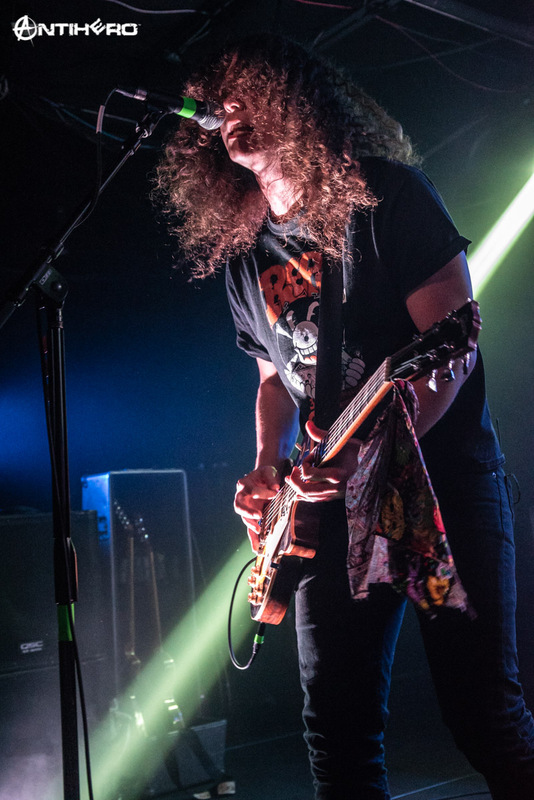 With tons of energy and plenty of shredding guitar work, the band delivered a stellar set to help set the tone of the night. 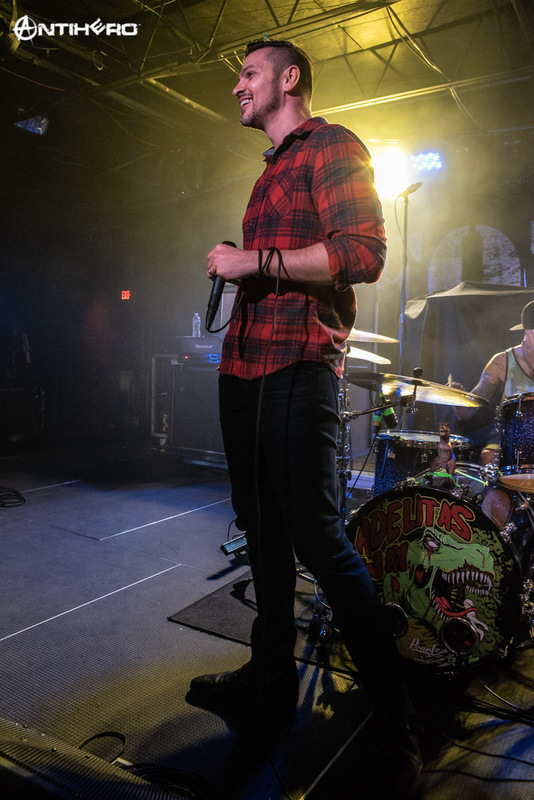 The guys are definitely on the rise, no pun intended. 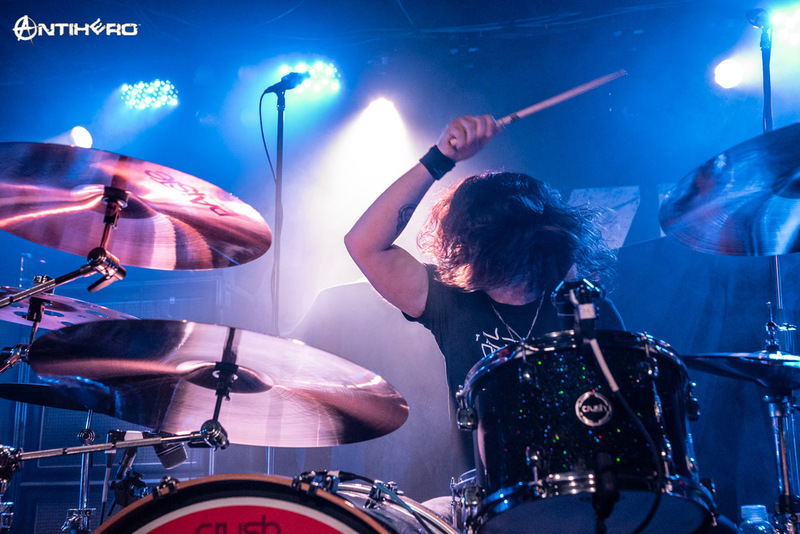 After the stage was cleared it was time for UK 4 piece rockers, Stone Broken to hit the stage. 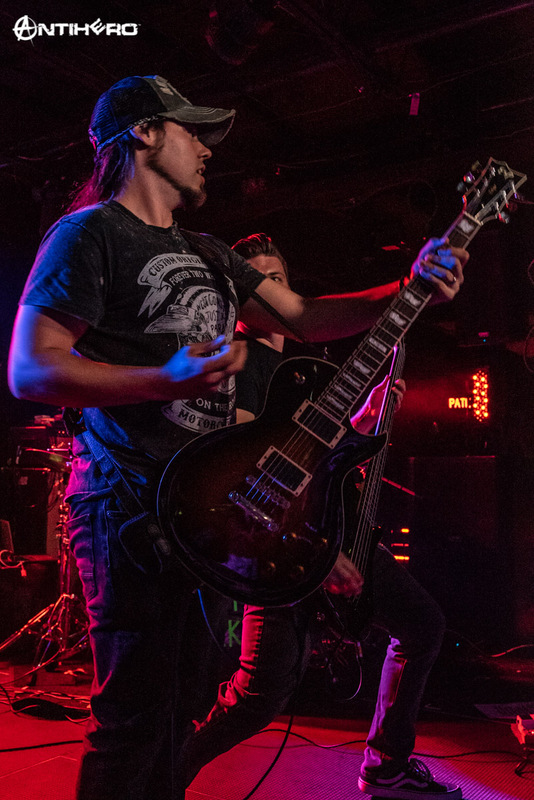 This was the only band on the bill that I hadn’t heard of before the show, but they did deliver a pretty damn good display of showmanship. 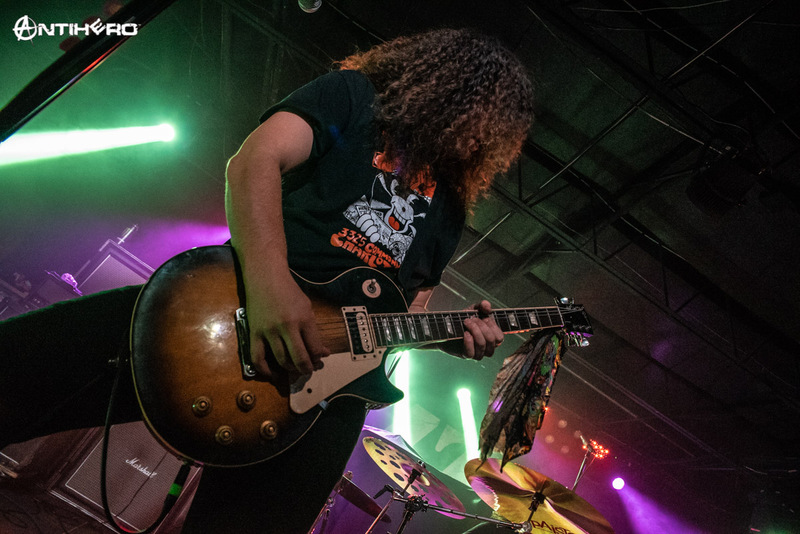 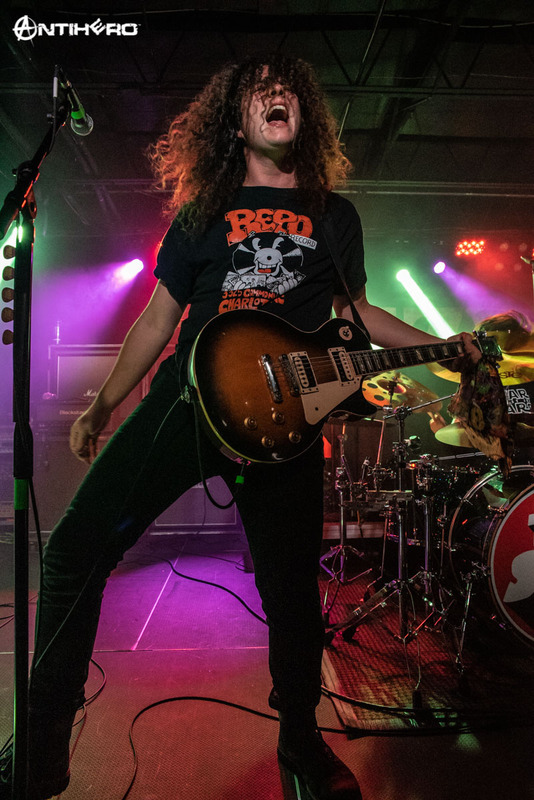 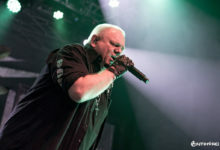 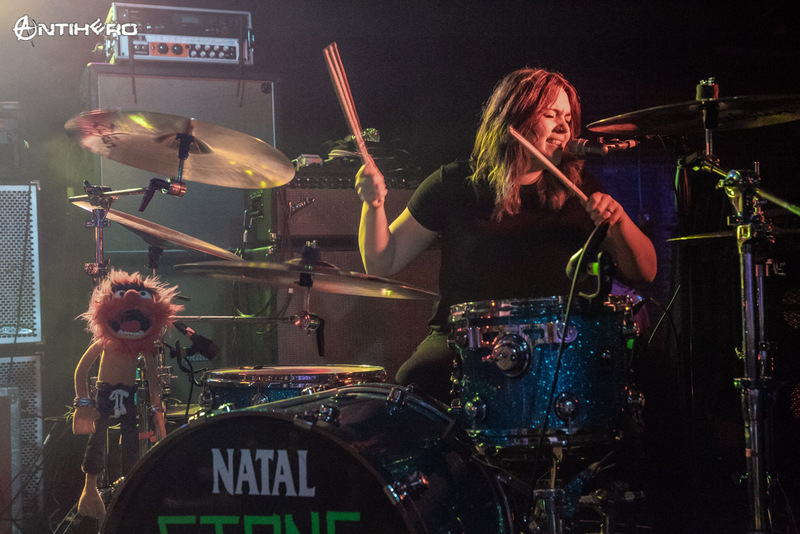 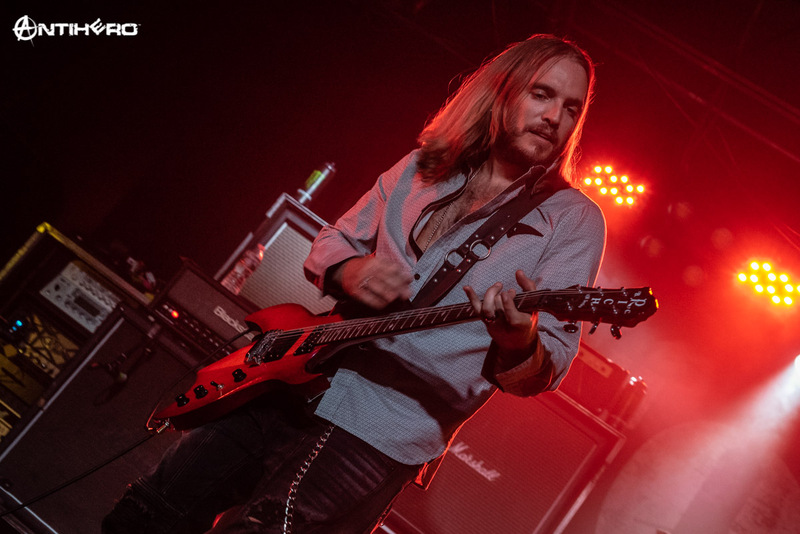 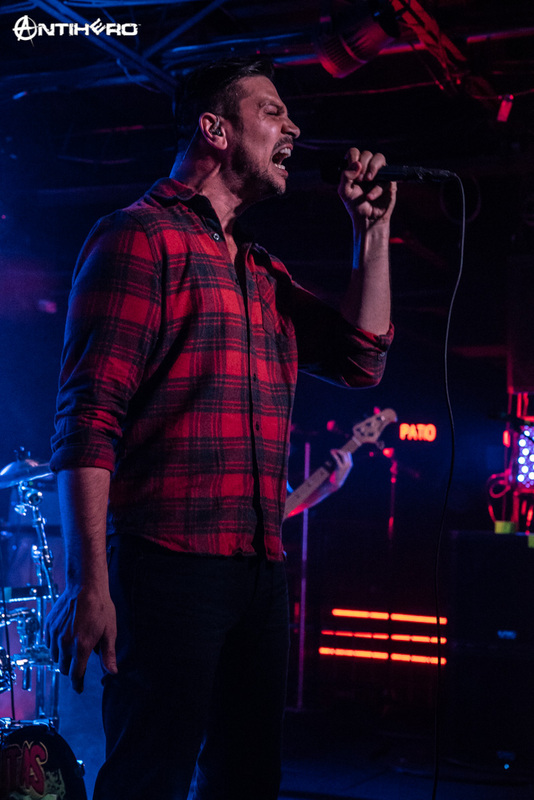 From the band’s interactions with the crowd to their mixed set list that played to more of the radio rock fans in attendance, Stone Broken helped to keep the energy levels high in the venue. 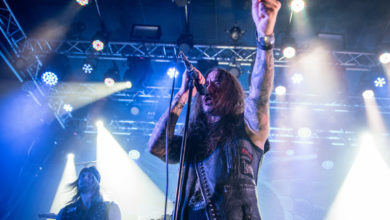 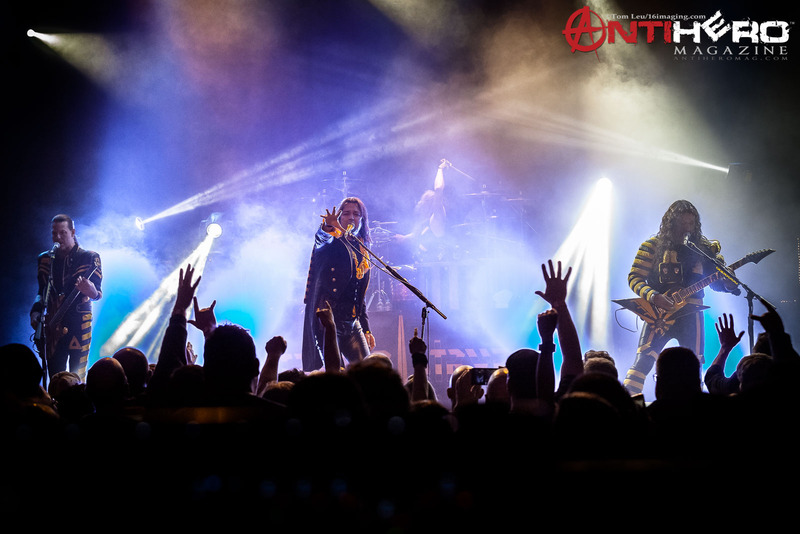 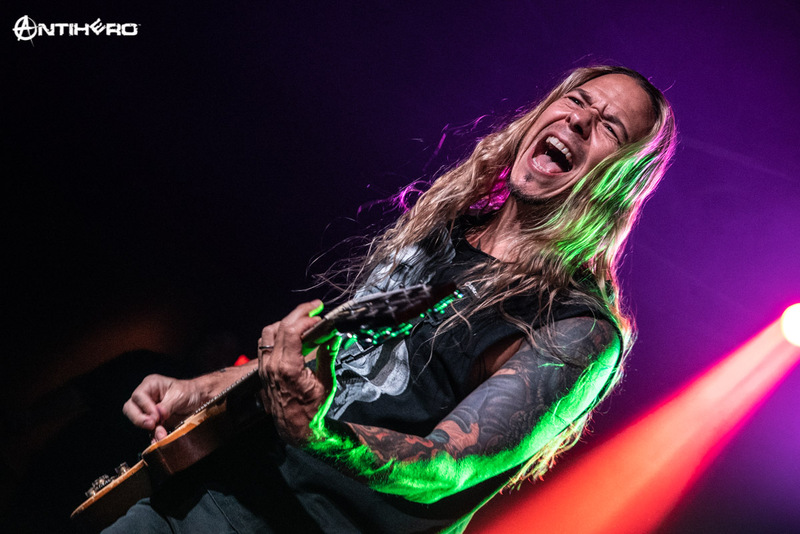 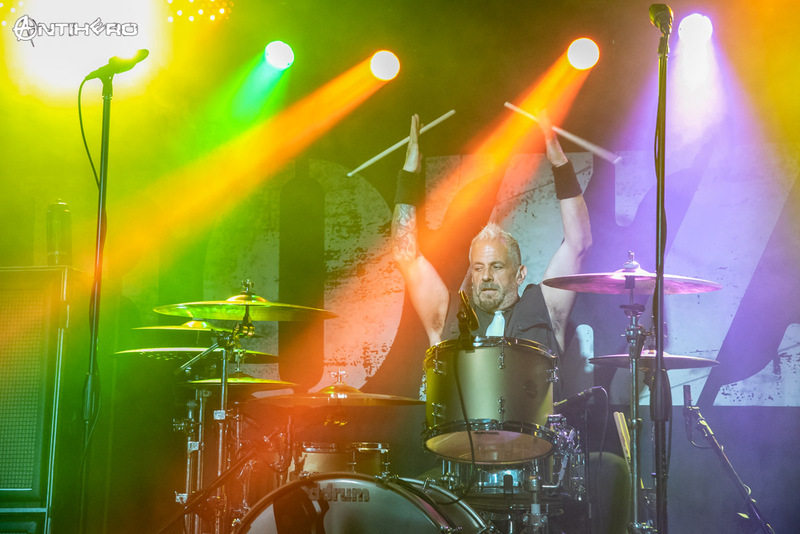 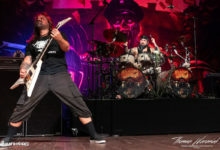 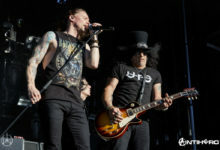 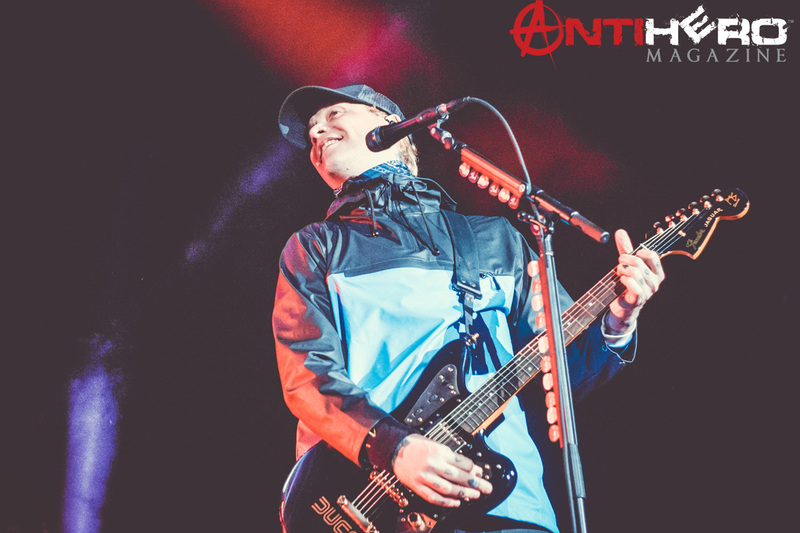 With their recent feature on Sirius Octane, fans in the crowd sang along with a few of their songs, which really helped bring a smile to the band’s faces. 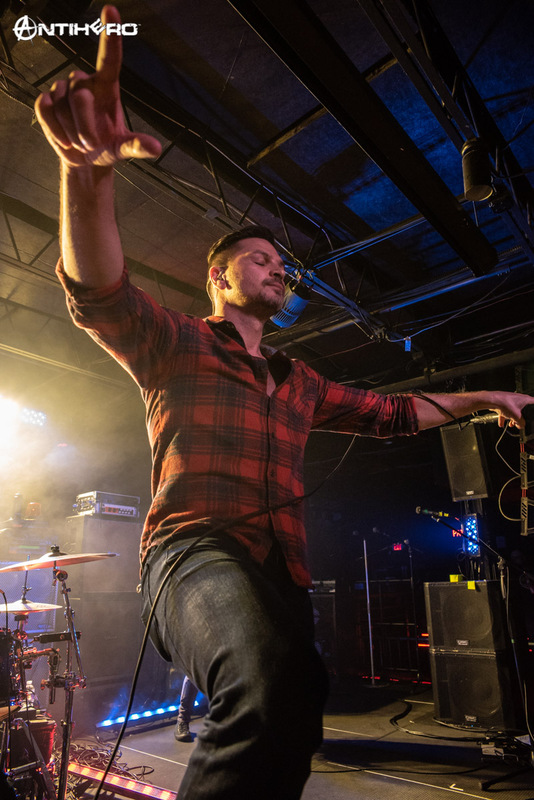 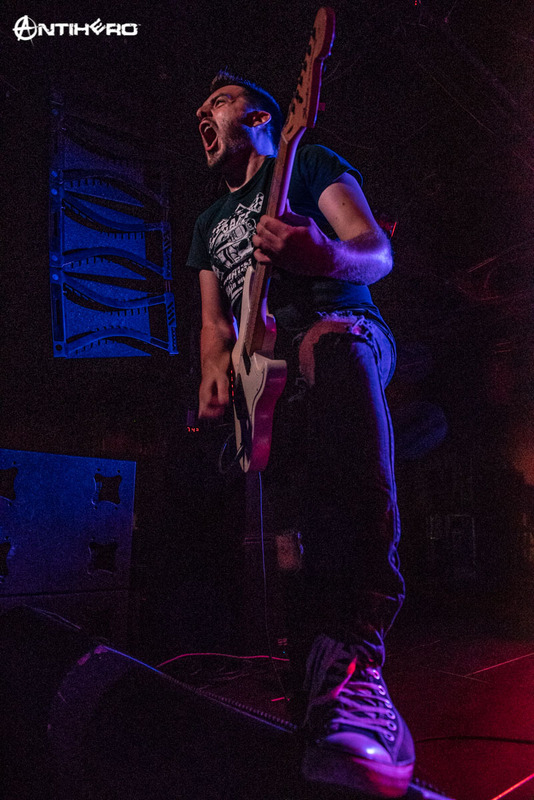 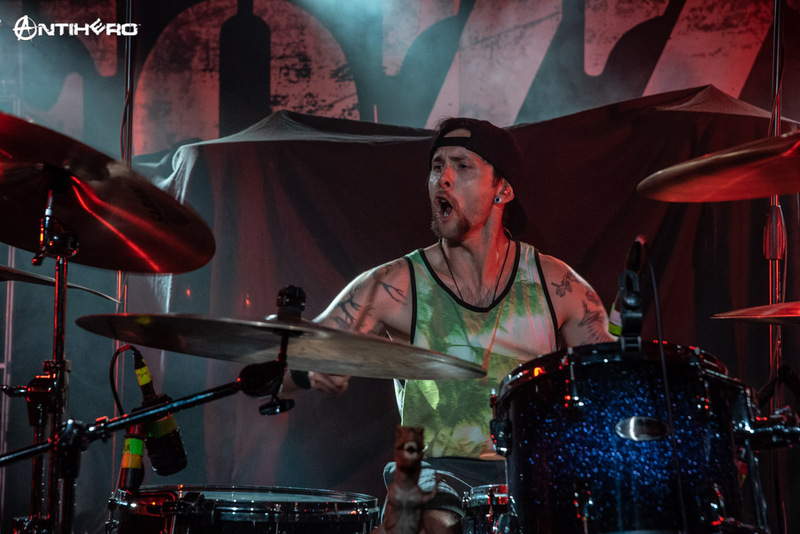 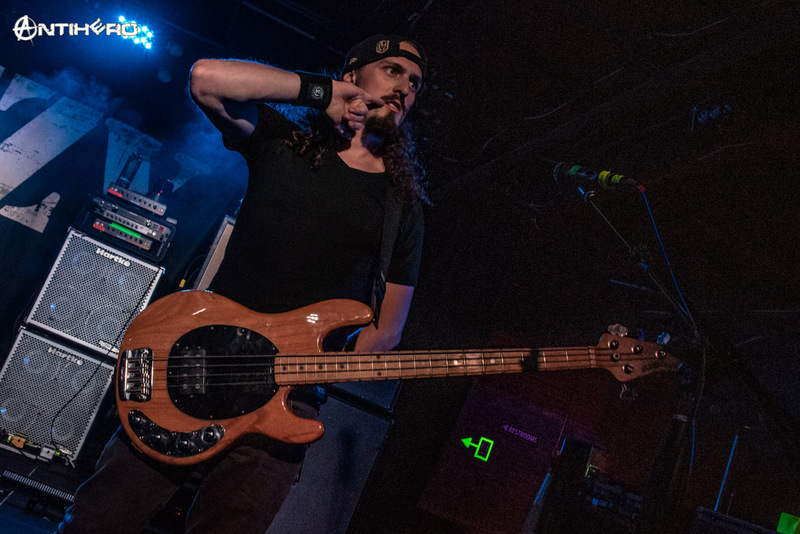 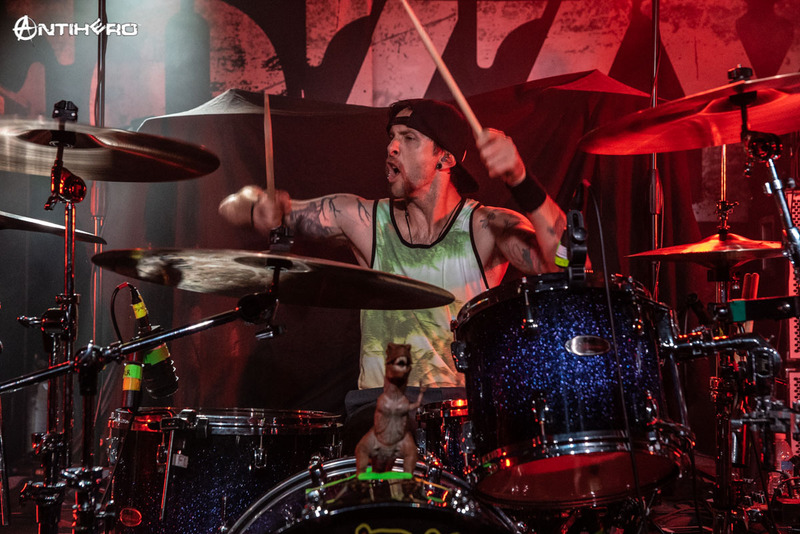 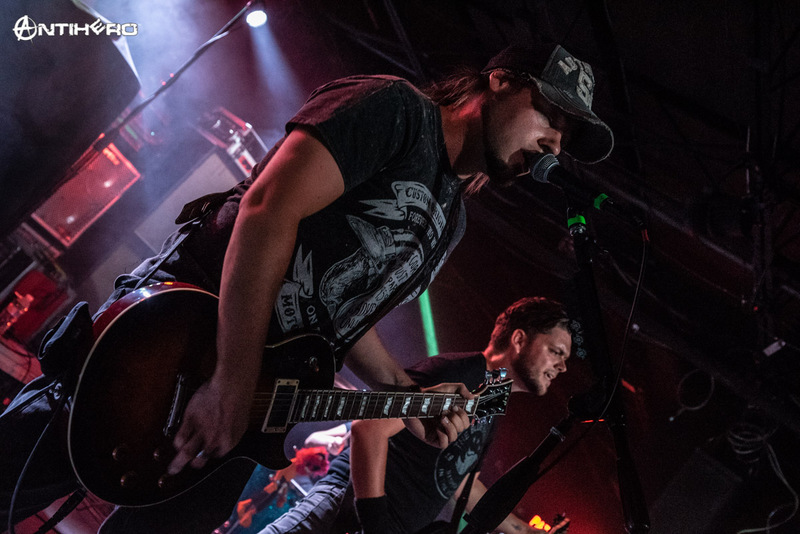 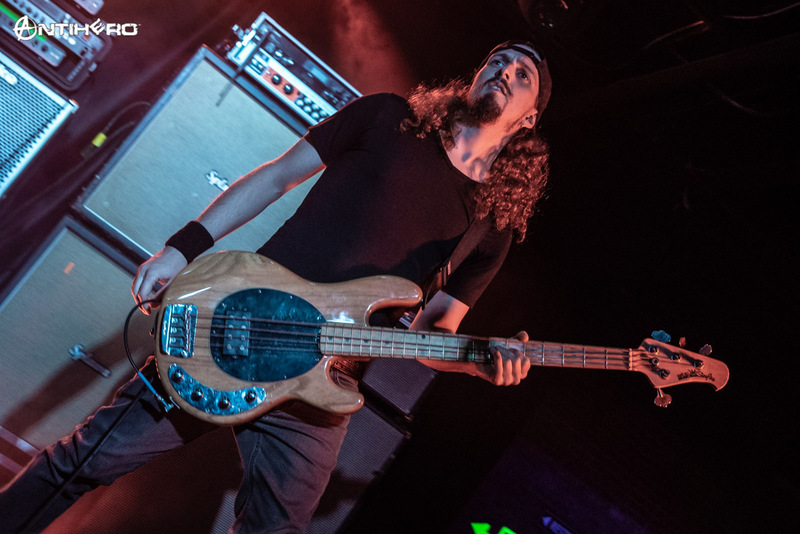 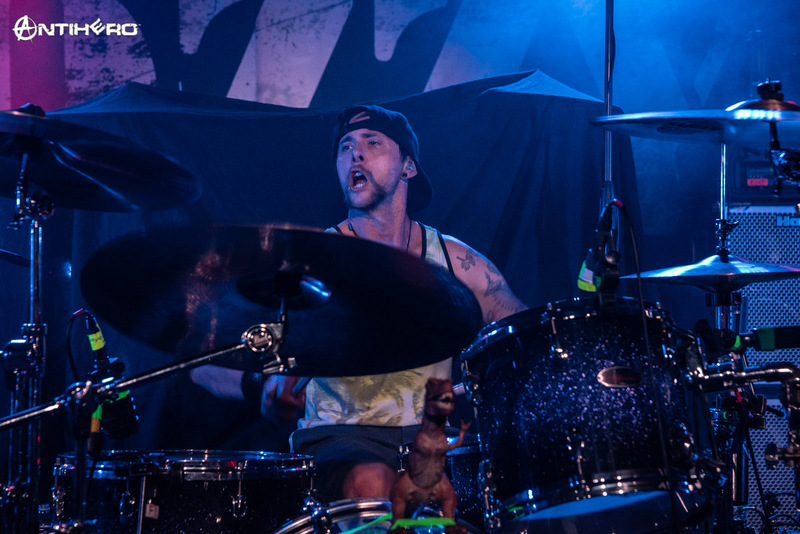 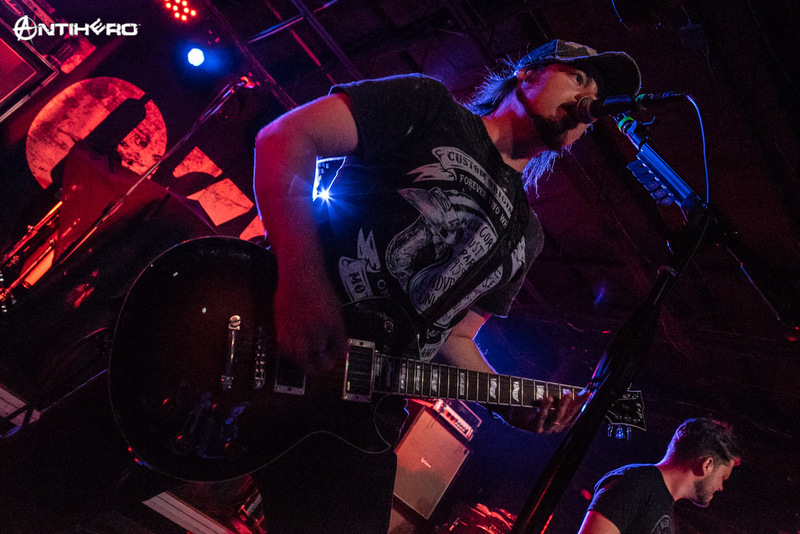 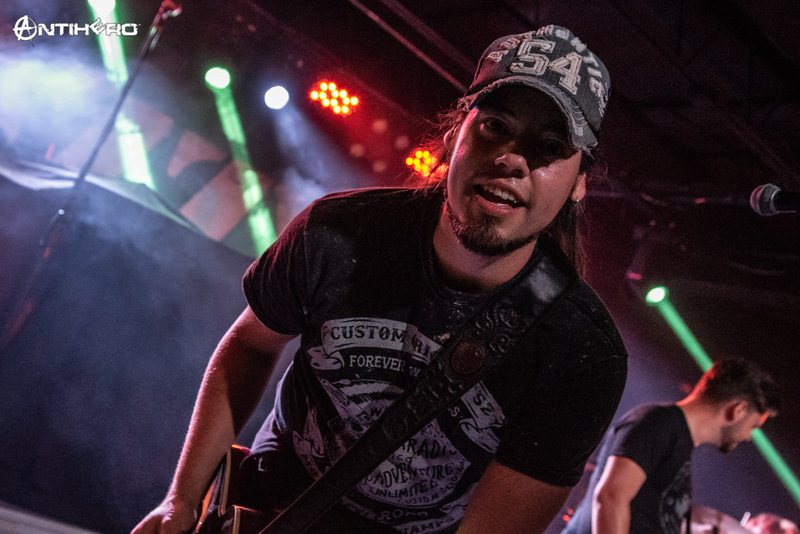 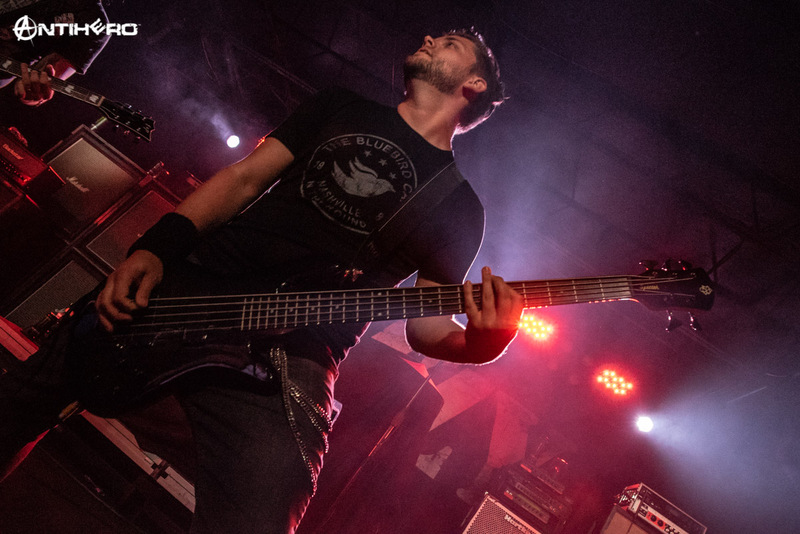 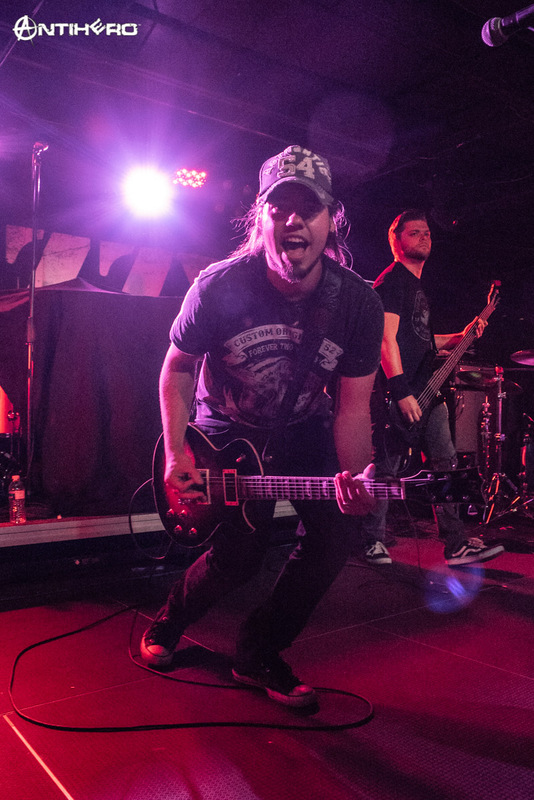 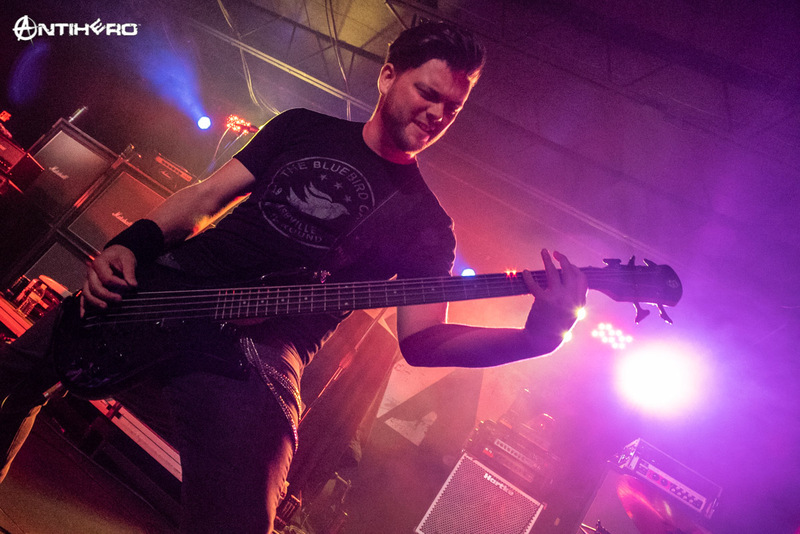 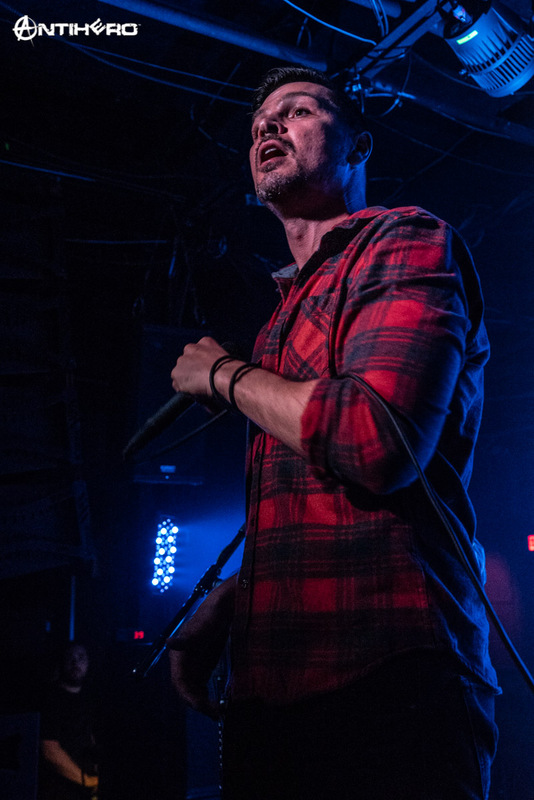 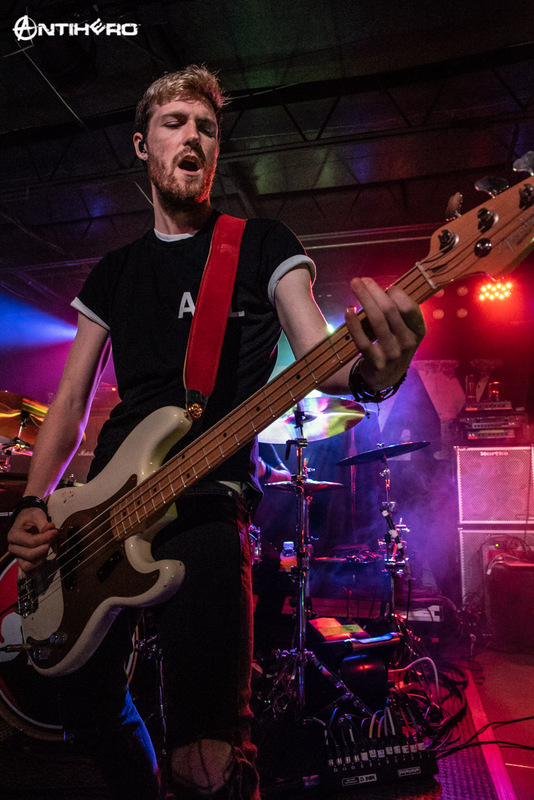 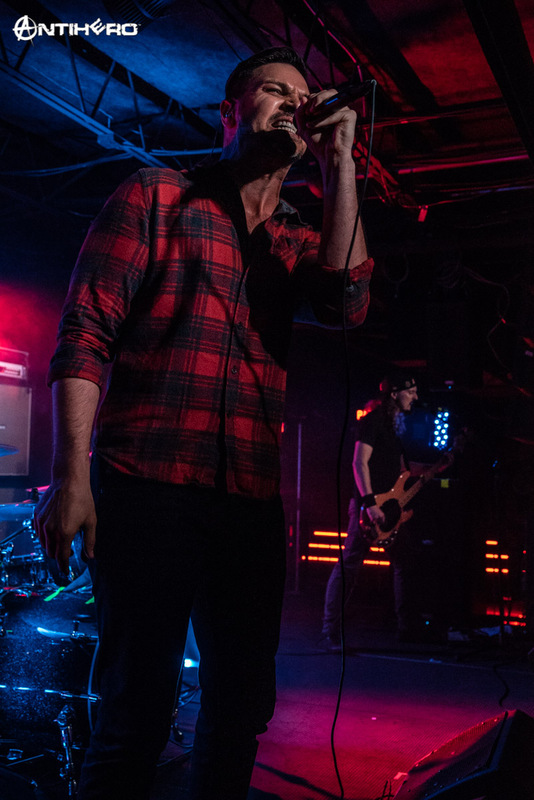 The main support for this show was a band that I have seen several times and have really gotten to know its members pretty well over the years, Adelitas Way. 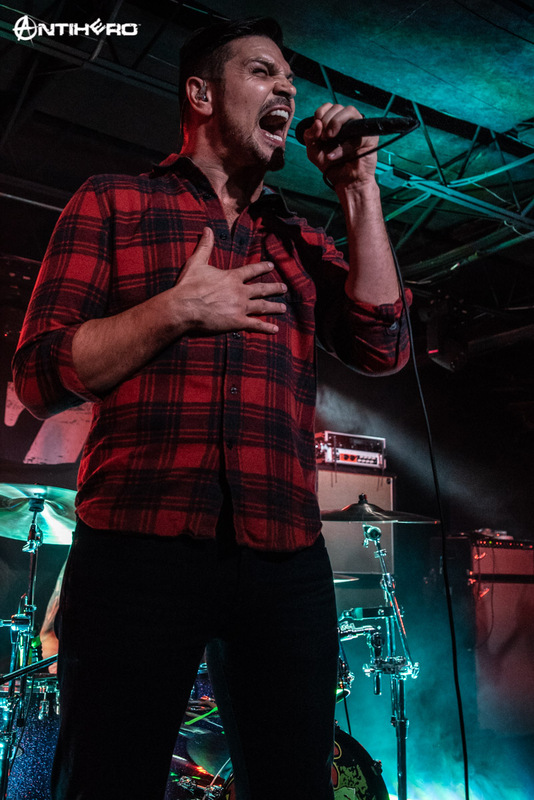 One of the things that I have always appreciated about this band is they always take the time out of their sets to interact with the fans, talking to them between songs and helping to introduce their next song in the best ways possible. 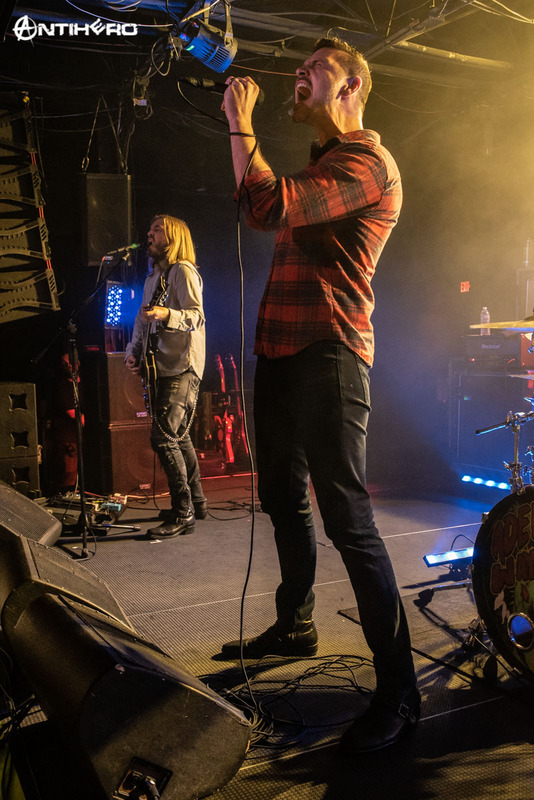 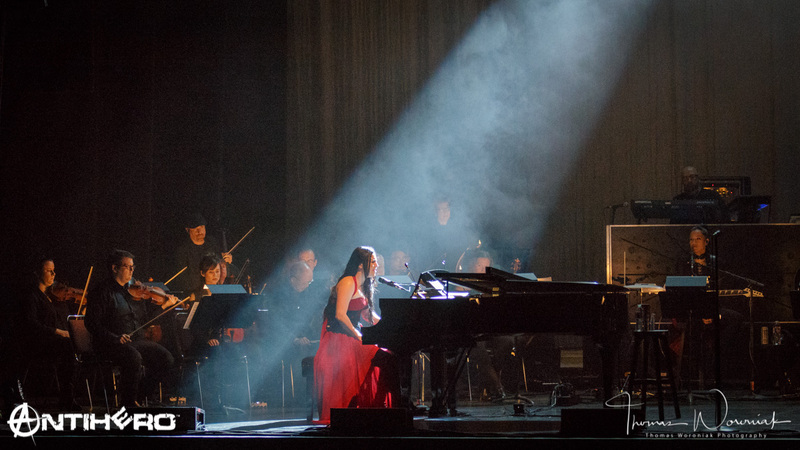 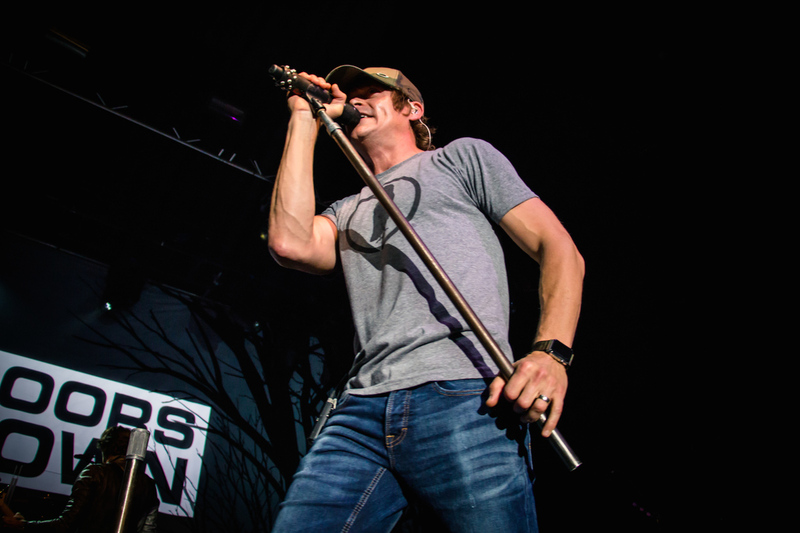 The band played a hit-filled set list that had everyone in the crowd singing along as they delivered their songs. 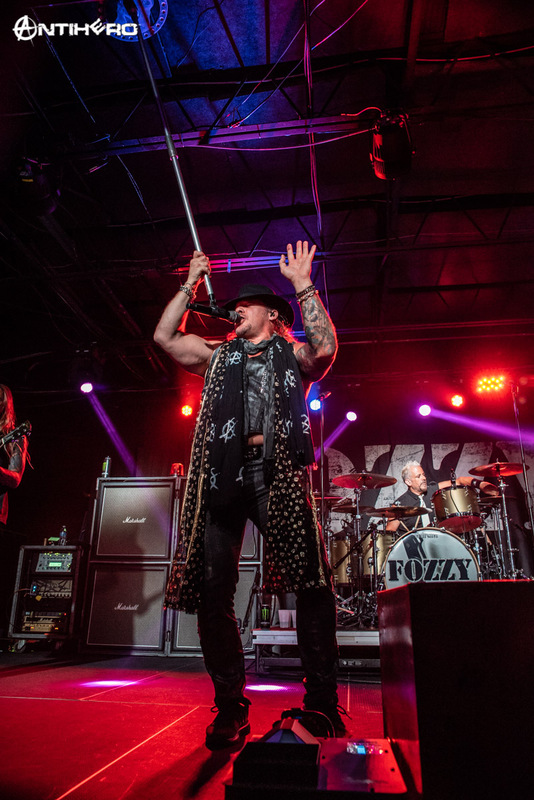 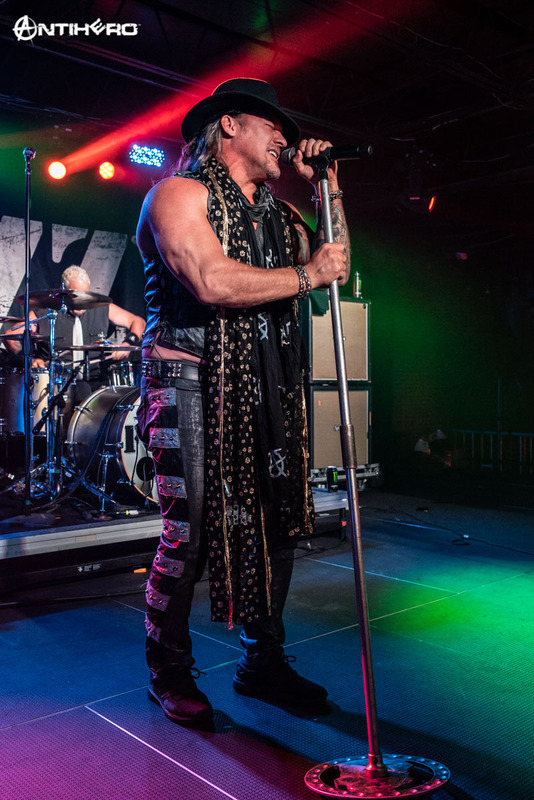 Now say what you want about Fozzy and their standings in the music industry but you will never convince me that they are not one of the most entertaining bands that you have ever seen. 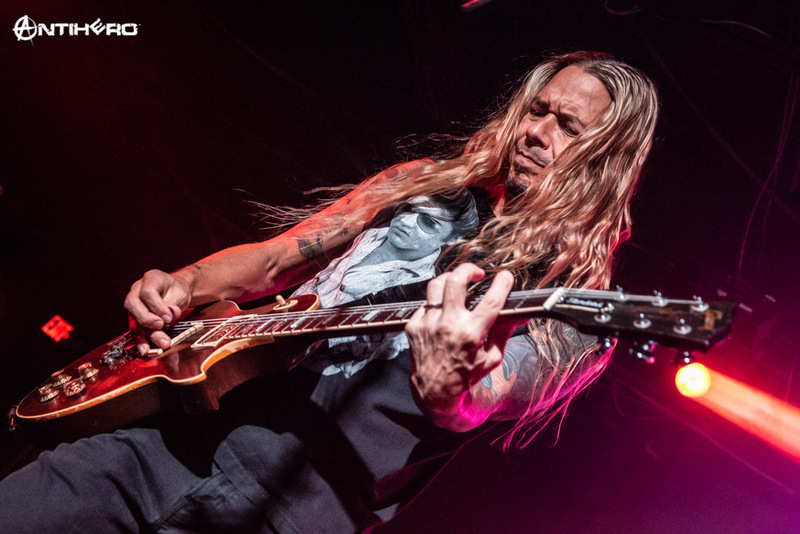 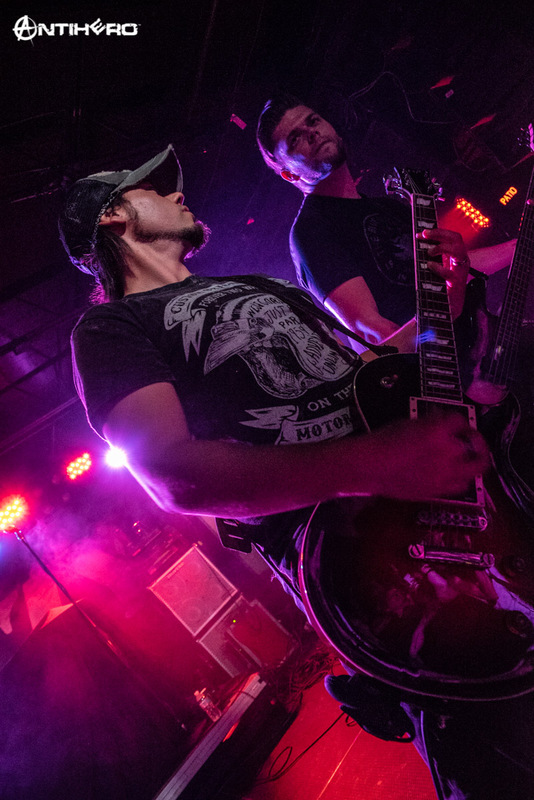 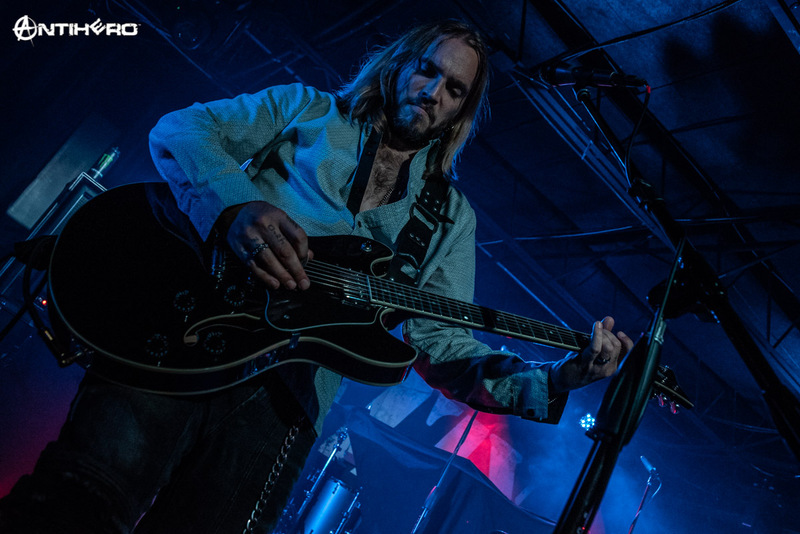 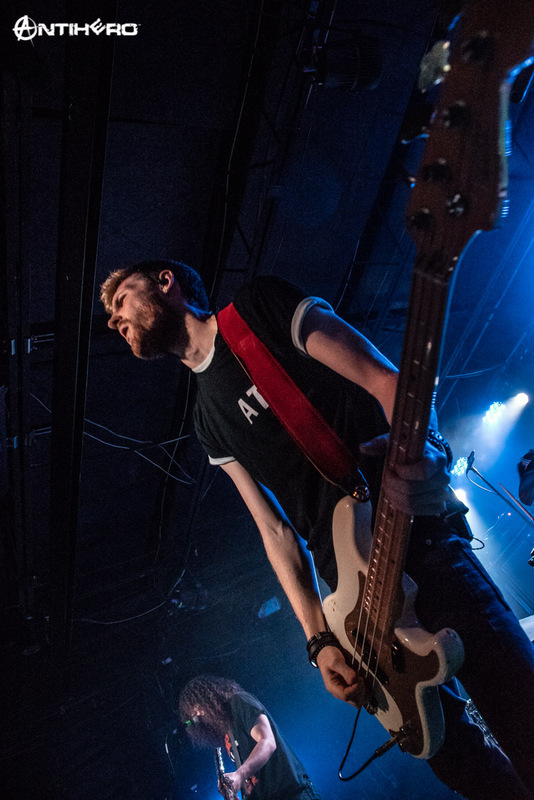 With the show being a sort of a homecoming for Guitarist Rich Ward, the band turned the dial to 11 at The Underground. 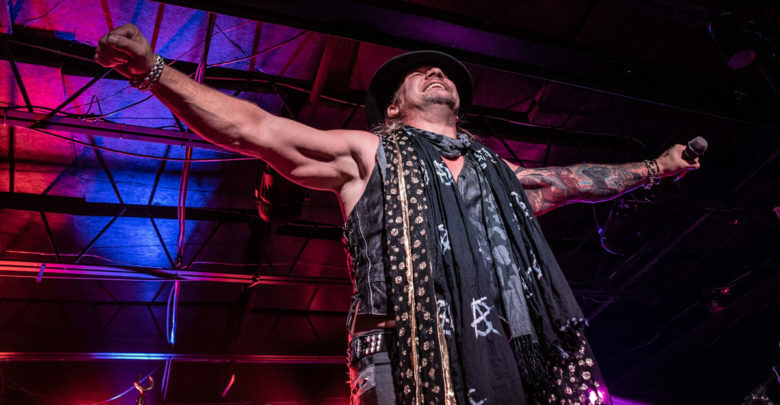 They always have so much energy on the stage, from Rich’s jumping and spinning around to frontman, Chris Jericho’s demand of the crowd’s attention, you will never leave one of their shows saying, I wasted my money. 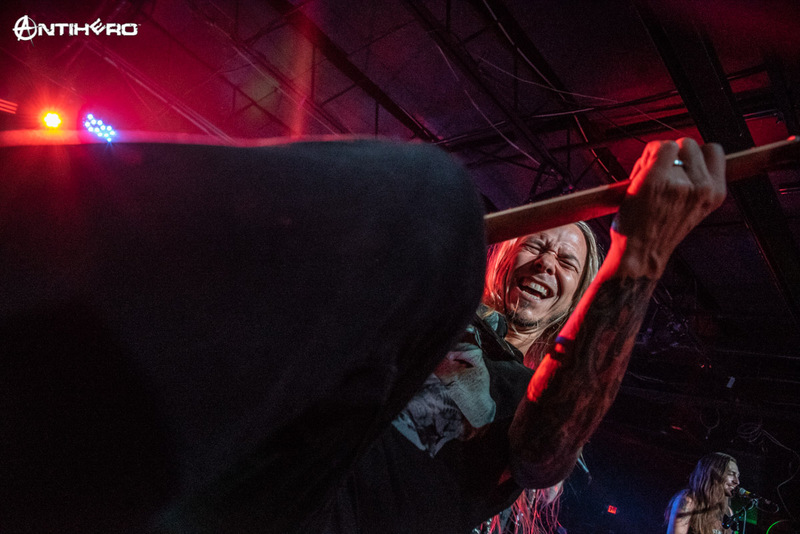 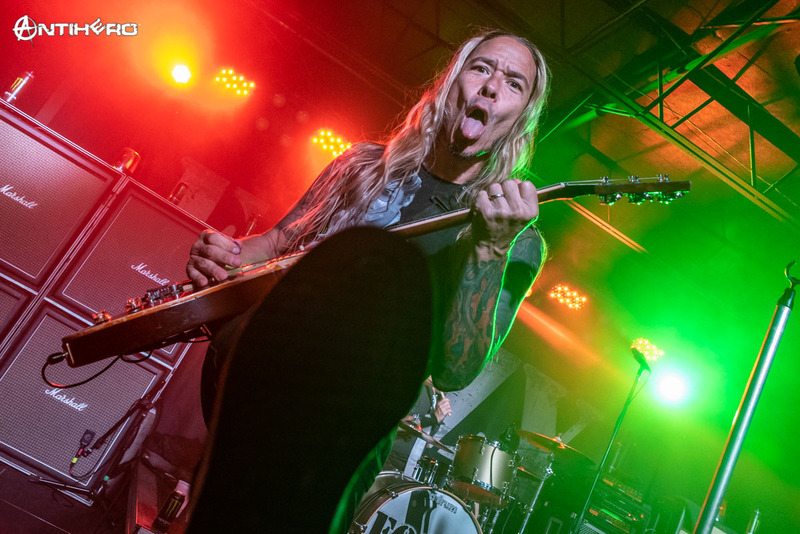 At one point during the band’s third song, Rich, put his foot on my shoulder while I was in the photo pit and continued to shred on his guitar. 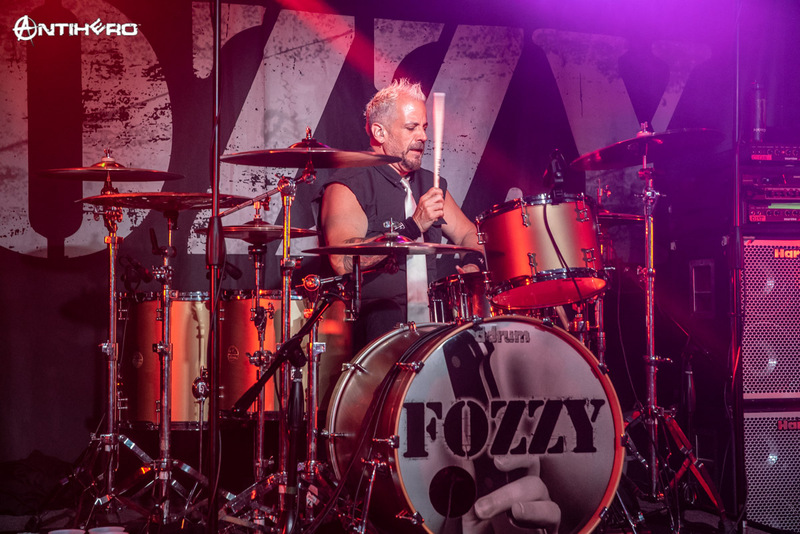 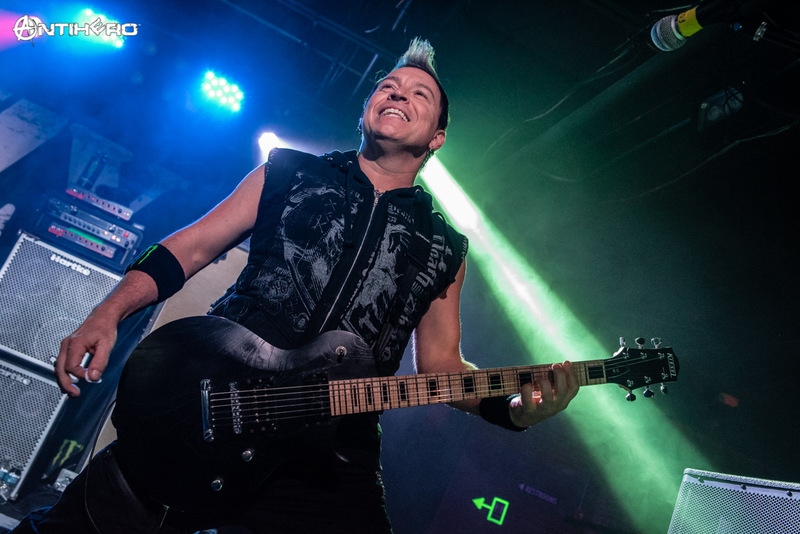 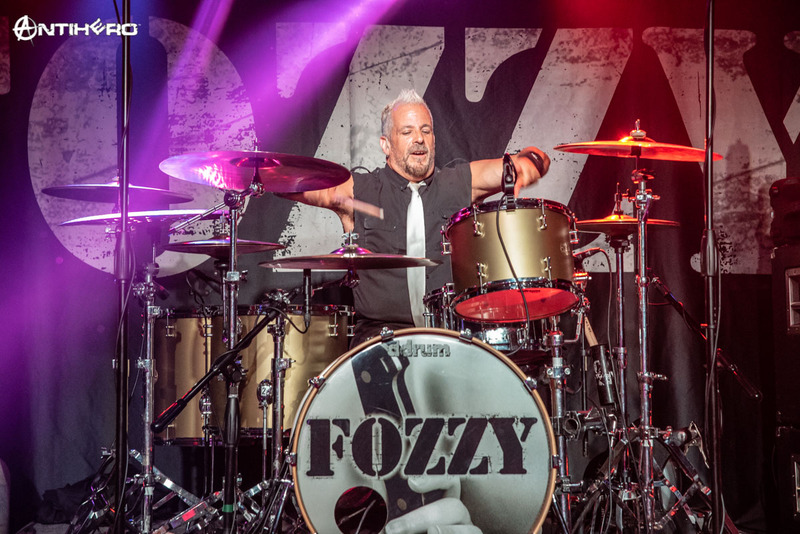 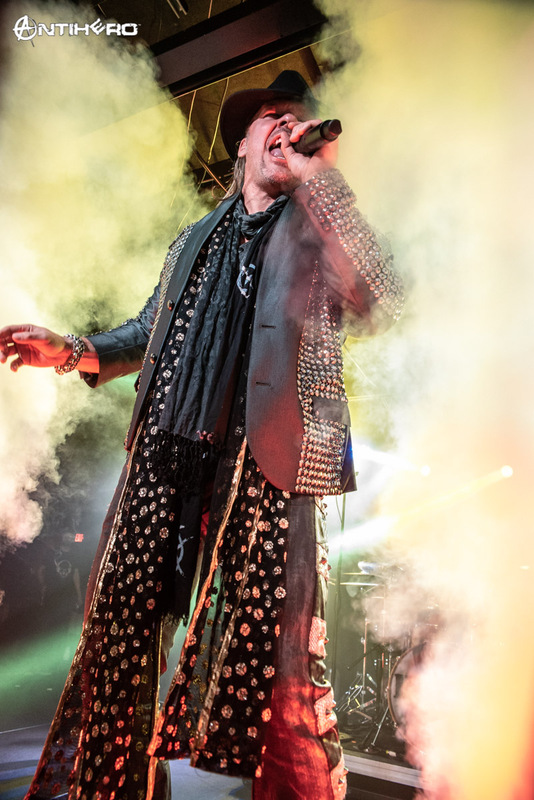 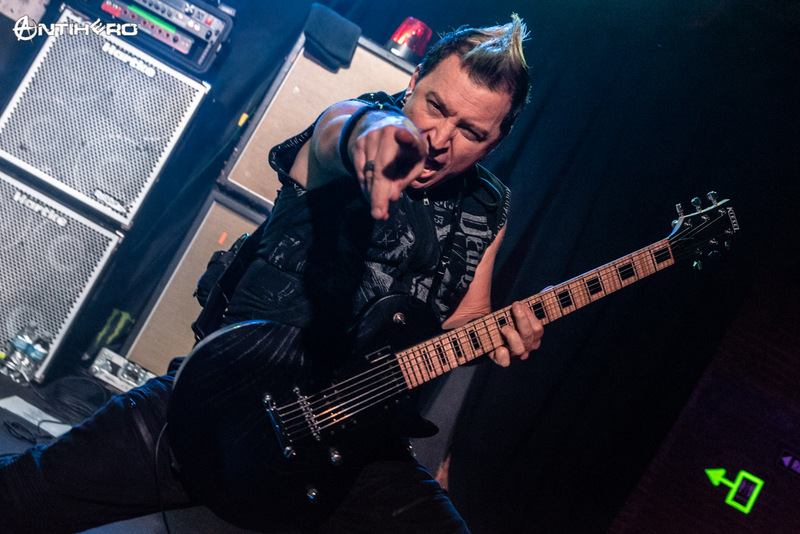 As a photographer and journalist, Fozzy is one of the band’s that always give you something to talk about when you leave the show, be it an experience like the one mentioned above or the great pictures you get of the members as they interact with you when you point a camera towards them. 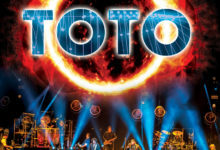 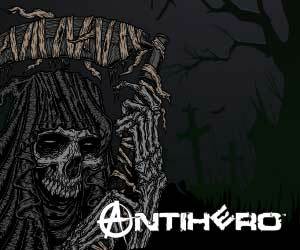 All I can honestly say is, go see them and you won’t be disappointed. 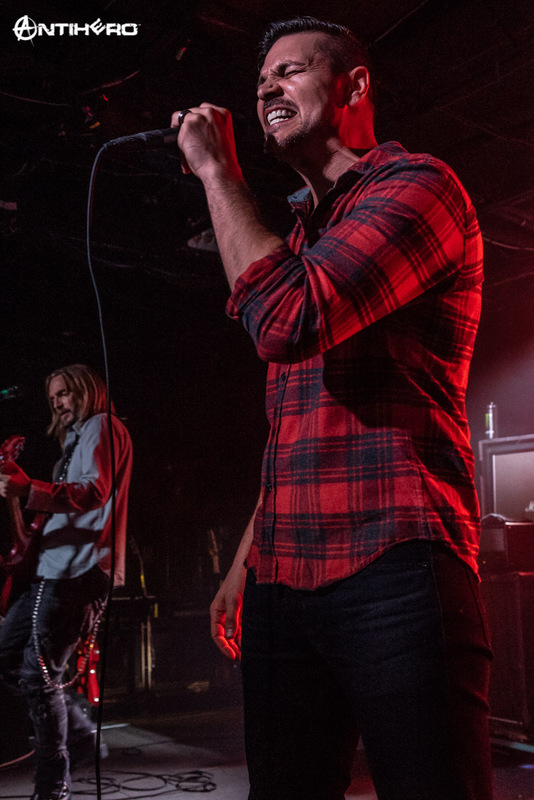 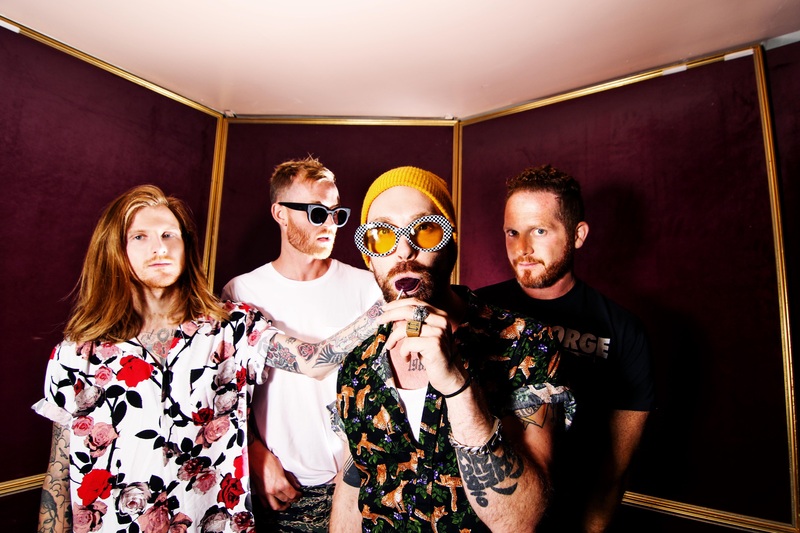 The Judas Rising Tour runs through October 6th where they make an appearance at Rock Allegiance in Camden, New Jersey before heading overseas and playing two sold-out shows in Australia.